Unfortunately, this problem looks like it’s getting worse as criminal organizations are getting in on this lucrative, yet sickening niche. The U.K. seems to be working with animal welfare charities to better police the borders and for lack of better word, sniff out dog smugglers. I’m unsure how long that can last as the charities themselves openly said that they have limited resources. 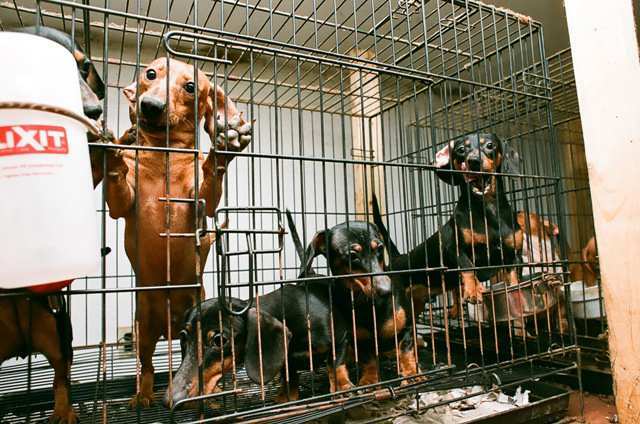 The United Kingdom as well as the rest of the European Union should put more money into tackling puppy trafficking by either giving grants to charities or forming dedicated agencies whose sole purpose is to exterminate this type of business. My biggest fear is that because organized crime is getting involved that they will eventually use the puppies/dogs as mules to smuggle drugs across borders. This idea isn’t even far fetched as a there have been reports of smugglers forcing dogs to swallow bags of cocaine, then killing them upon arriving at the intended destination. What are your feelings on this? Let us know below and please don’t forget to share!